A new exhibit called "I Lived, We Live, What Did We Miss?" opened at Center of Life in Hazelwood last week. Theresa Finn’s son, Jamar, was murdered nearly five years ago. She said it’s getting harder to deal with every day. Last week, Finn attended a preview of a new exhibit at Center of Life in Hazelwood called "I Lived, We Live, What Did We Miss?" 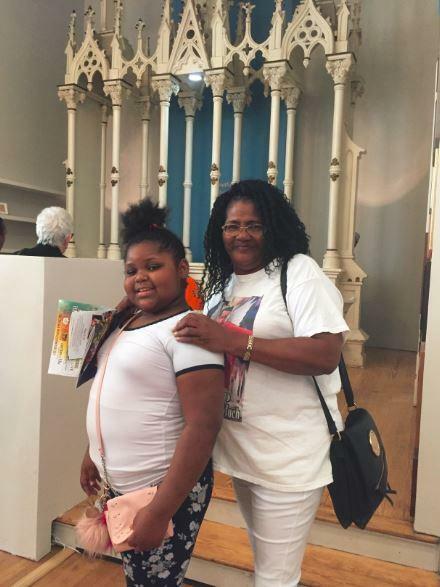 Theresa Finn, with her niece, at the Center of Life's new exhibit. It celebrates the history of Hazelwood and the lives of young people who have been killed in the community. “Loosely, we thought of the five different components of your house,” said Dylan Vitone, an associate professor at Carnegie Melon University’s School of Design. His class partnered with families in Hazelwood to tell their stories and design the exhibit. “We have the attic over here, which is the place where you keep history,” he said. The space showcases old photographs and relics from the neighborhood, and the steel industry it once supported. There’s also the “kitchen,” complete with a table to gather around to talk. The white alter represents the bedroom, an intimate space. The left wall showcases personal artifacts that families have saved, like their loved ones’ tennis shoes and sun glasses, as well as photographs. The entire right wall is covered with empty picture frames. “For the memories that never happened,” Vitone said. Lastly, the “front porch” features a board facing out into the community, where families can gather support from friends and neighbors. 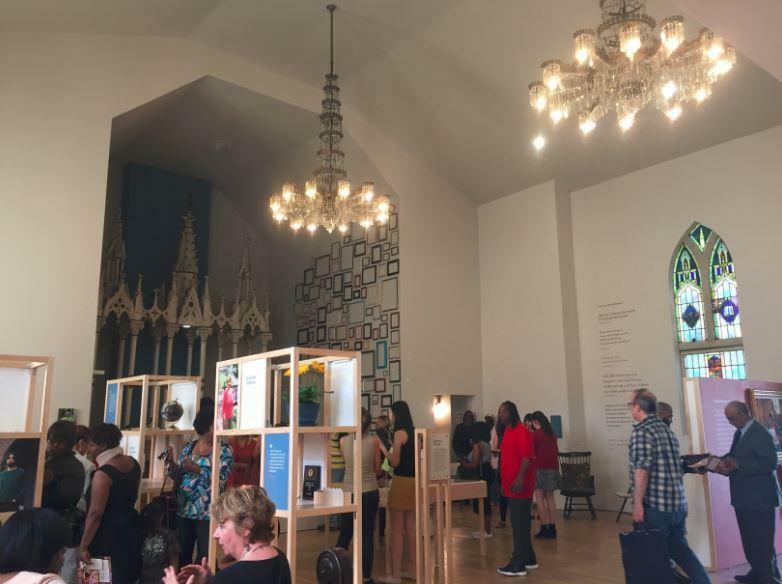 The exhibit was the brainchild of Tim Smith, executive director of the nonprofit Center of Life, and pastor of its church. He said one day he noticed the names of two of those boys written in chalk on the basketball court. 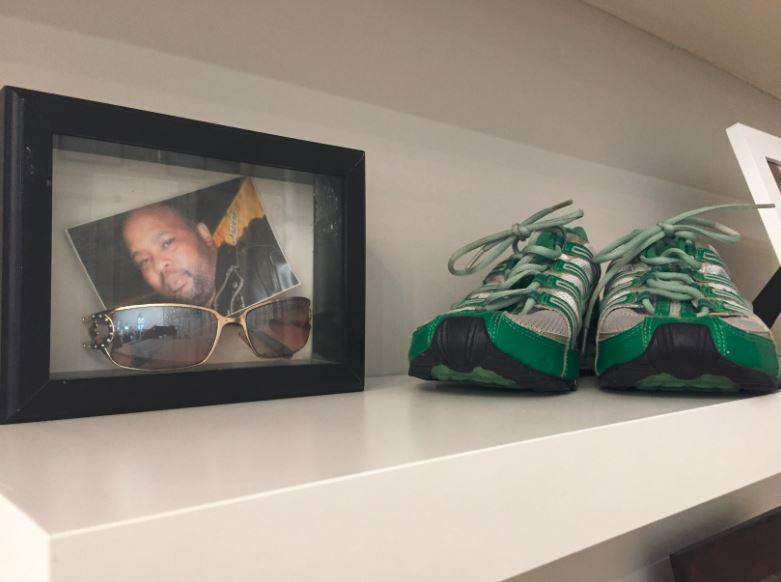 A pair of shoes, sunglasses and a family photo rest on a display at "I Lived, We Live, What Did We Miss?" Pamela Glass was one of those Hazelwood residents who gave input on the exhibit. Her nephew, Anthony Ward Hamilton, was murdered in 1995. A framed photograph and newspaper clipping about his murder sit on a shelf by the altar. She said Hazelwood has always been a good community. Kim Allen worked closely with the CMU students to help them understand the community. Her brother was murdered in 2009. Smith gave his eulogy. She said it could provide the closure that some people in the community still need. The exhibit officially opens to the public at Center of Life in Hazelwood on May 20. Michael Olijnyk has a hard time throwing things away. 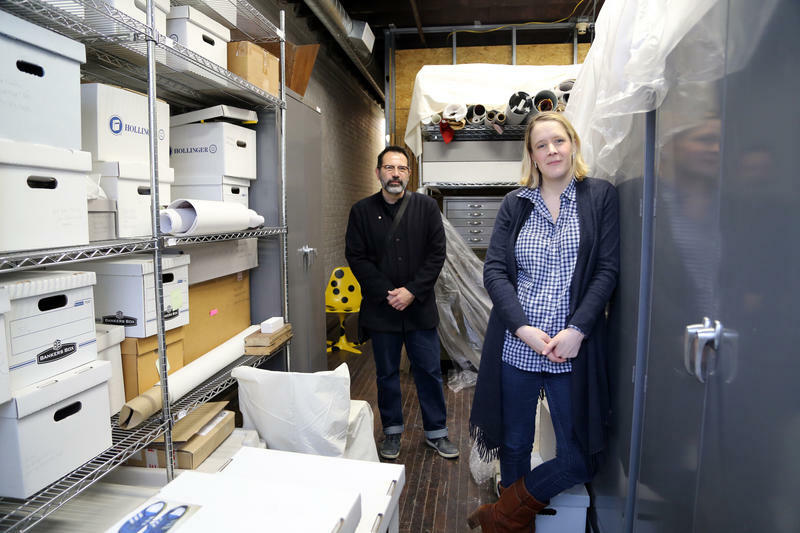 He’s co-director of the Mattress Factory, along with with Barbara Luderowski. They live in the museum, on an upper floor. “We are obsessive, obsessive collectors,” he said. Three artists involved in public art in New York City were looking for a change when a friend of theirs suggested they come to Pittsburgh to rehabilitate property through a program to help communities address blight. The Allegheny County Vacant Property Recovery Program introduced them to a neighborhood and an opportunity to use local resources and artistic creativity to transform ideas into real social and economic benefits.